I decided to write this post because I have been asked this question a number of times recently, “are you dieting?”. There seems to be a lot of confusion with regards to the word ‘dieting’. Some of you may call it, “healthy eating”, the rest may simply say “not eating at all”. Well the later to me is ‘starving’! In simple terms, the word ‘diet’ is used to refer to “the sum of food consumed by an organism or a group”, as quoted by the famous Wikipedia. Diet according to me is to be able to eat healthy and sensibly and, of course eat what I like and when I feel like. Diet also means being aware of what you eat and how you eat. Of course you can eat anything you want but just limiting the quantity you eat. Exercise moderately and eat well to be healthy. You live once, so you don’t have to deprive yourself from the things you love to eat and neither should you over indulge. I go by this rule…. I would like to share some already known information with respect to dieting or lets just call it ‘sensible eating’. -So if you have been eating 5 spoons of rice, then it all about limiting it gradually to 3-4 spoons. 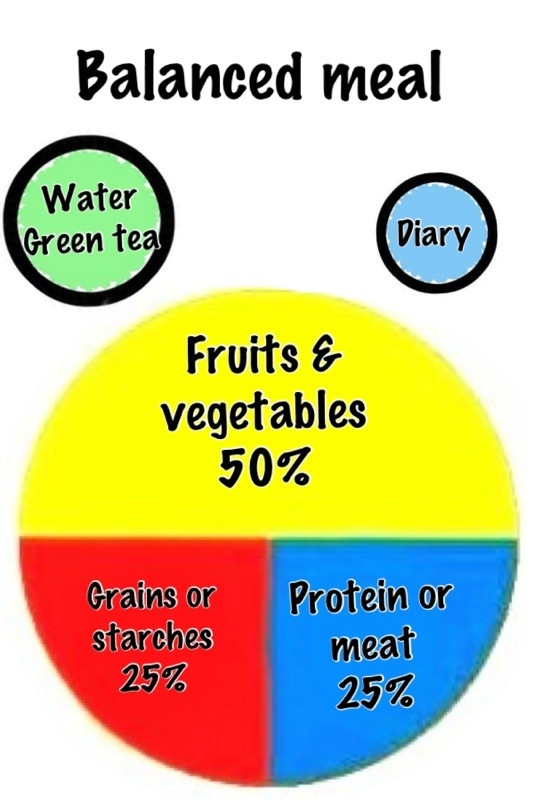 -Make sure you eat 3 healthy full meals along with 2 snacks in between your meals. For example: if you have your breakfast at 8am, then have a snack at 11am. If you eat your lunch at 2pm, then wait till 5pm for your next snack. Finally have your dinner around 7.30-8pm. By doing this, you are increasing your body’s metabolism and simultaneously your body is nourished. -Some healthy snacks may include: fruits, raw vegetables, handful of nuts etc. -Eat A sweet a day if you feel like it. Tell yourself that you can eat a maximum of 2 sweets if you are really craving for it. But do not over indulge in more. -Use Olive oil for cooking. It has a lot of health benefits. -Drink about 8-10 glasses of water/day. It will help you flush out the toxins, keep you hydrated and energised. -Sip on Green tea after every meal. -Also, try and make sure you get some regularly physical activity, which also helps in maintaining a healthy lifestyle. I love this post Kavya! People ask me that too.. I always say “I don’t diet, this IS my diet!” I eat lots of veggies and protein and stay away from starchy carbs and anything white (like sugar and dairy). The term “diet” has gone from meaning what one eats on a regular basis to what one eats when trying to lose weight. I think we need to get back to having a healthy “diet” all the time and not just when we are trying to lose weight! Its true! U have2enjoy what ur eating, just use good sense and moderation ;). Nice post!